You and I are total strangers who live thousands of miles away from one another, yet our lives have deeply intertwined. Like millions around the world, you don’t know my name, but if you saw my face, if you saw that meme, you would recognize me because two years ago, you created that meme. Growing up with a physical difference, I’m accustomed to people staring and making awkward comments as I walk by. It wasn’t until I was 18 that I realized these experiences, which are my normal, aren’t most people’s normal. In fact, most days I forgot about my birthmark. For example: When I was 16 I dressed up as a biker for Halloween and went to a trunk-or-treat with my friends. Several people freaked out, asking me if I fell off my motorcycle, afraid I was hurt. I was confused for an hour… and then it hit me, and I just laughed. Most people don’t get gawked at in public, and they aren’t told they’re “contagious” or that they are “brave” for leaving their house. But I do. And it happens often. Yet, even then, I still didn’t realize how different I must look… but then you turned me into a meme. So I spent a few hours and read a few comments. As of 730 days ago, a day hasn’t gone by where I have forgotten about my unique appearance. They say pictures are worth a thousand words. When I went viral, my name, story and my words were missing. Instead, complete strangers were making up their own 1,000 fictional words to go with it. One man accused me of drowning kittens, and many assumed I asked you to post the image, thinking I didn’t have any confidence in myself. Several pleaded to get me connected with a good plastic surgeon so they could “fix that,” some flat out called me ugly and some wrote, “She’s beautiful, but would be even more beautiful if that weren’t so prominently placed.” A few thought it was just face paint on my cheek, and even fewer knew it for what it was: a birthmark. While it was my own choice to read the comments, it turns out, there is a difference between reading 30,000 comments within a few hours versus hearing one comment a day. In the midst of this fiasco, one thing stood out to me: both my condition and story were completely misunderstood. I was angry with you for the longest time. For nearly 730 days, I resented you. But you don’t deserve a 731st day with me. 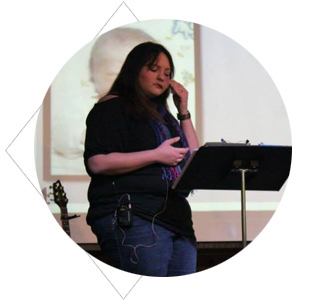 This experience has fueled my desire to be a speaker and writer, but that’s where you’re influence in my life stops. For the last two years, I’ve been taking back my selfie. I’ve been taking back my story. I know I am more than some meme that mimics one stranger’s simple perception of my image. I am so much more than thousands of fictional words your followers left next to it on some social media site. My name is Crystal. I’m the person in this meme. However, in this edition of it, I’ve made some changes. It’s the same meme that went viral two years ago but with a twist. 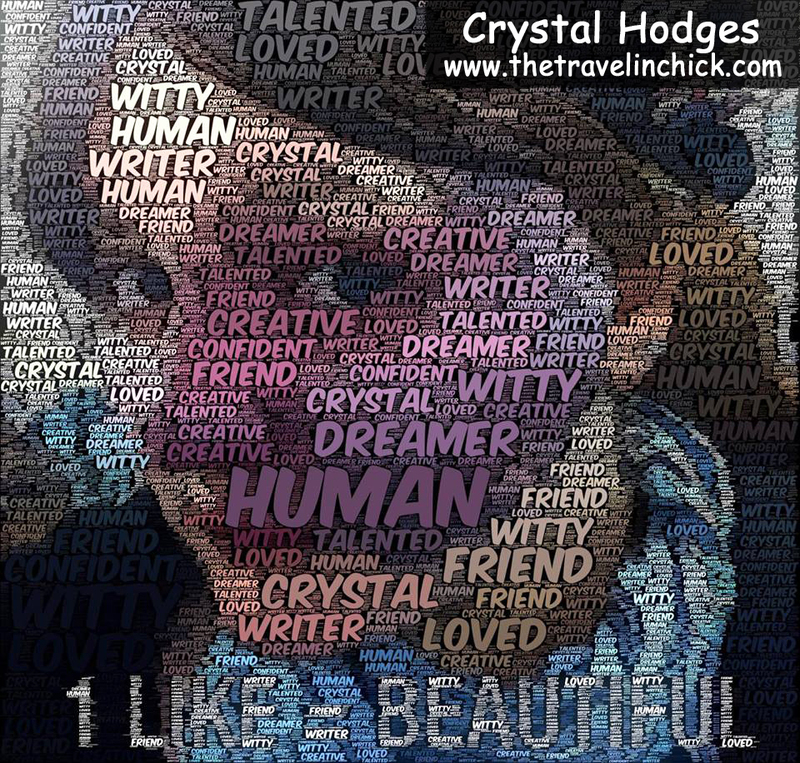 While there is more to my story and more to who I am, thanks to the help of my friends, this image has been created with 10 words that describe who I am. I’m a writer and a speaker. I’m a friend and a God-sized dreamer. 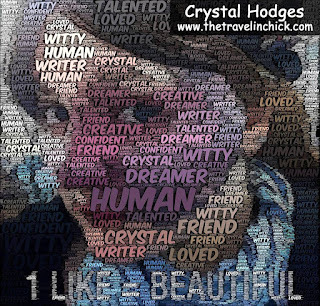 I am creative, confidant, a writer full of wit, and I am talented. I am loved by many — and just like you, I am human. Best of all? I know I’m wonderfully and beautifully made. It’s time for people to hear my real story, to read the true message of my story and my image. I’m taking back my selfie, owning that meme… taking it back one word, one blog entry and one article at a time. I’m proud of who I am, as I am. I like the way I look — and I’ve never needed thousands of strangers or the internet to validate my beauty or confidence. After all, we all have differences — I just wear one of mine on the outside. And it’s my goal to make a difference with my difference. The images surrounding mine on your page were other memes you created: kids with cancer, premature babies and people with missing limbs. You’ve been using images of people (without their consent) to pull at the heartstrings of people, to pull them towards your page. Simply put, that’s not cool. You alone have almost 28 million Facebook followers. Your audience is large. Your influence is strong. Please use it with kindness and wisdom. Before you take someone else’s photo to make your next meme, remember that image is much more than pixels on a screen. They are writers, singers, travelers, friends, sons and daughters. They are dreamers who reach for the stars and dare to change the world. They too are a human — and they are loved. This happens sometimes a stranger can do a lot for you without even letting you know. But i personally feel its not good to share personal pictures of anyone randomly.